Historic Charleston, South Carolina is exploding with history, architecture, good eats, quaint shops, multitudes of art galleries, friendly people and one of my favorite places to be. I'm only going to be able to hit on some highlights here because this is one city that needs an entire book to tell you about all the wondrous places to visit, things to do and the history there. 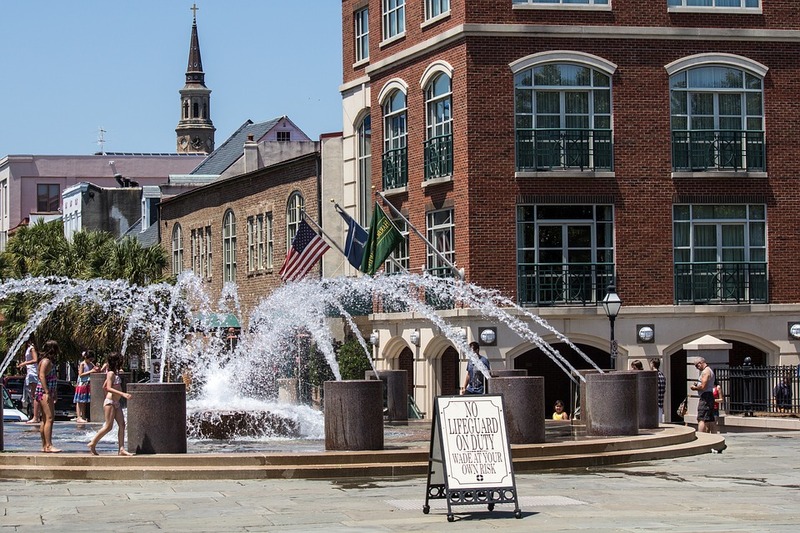 Charleston is known as the Holy City because of all the churches and their towering steeples that dot the city's low skyline. They all have outstanding architecture and history about them. Some are open for 'touring' when service isn't being held. Rainbow Row was originally (in the mid 1700's) the center of Charleston's Commerce. The stores were on the first floor while the residence consisted of the floors above. Rainbow row stretches from 83 to 107 East Bay Street. Each house is a different color (thus the name). 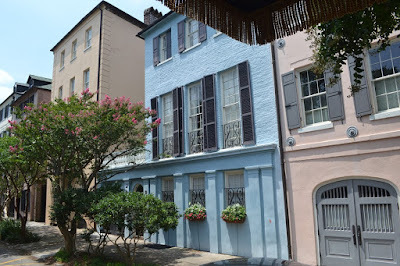 The Three Sisters are a group of three houses that were built by a dad for his daughters in 1780 in the Historic Battery District of Charleston. If you take a carriage tour, you'll hear the whimsical story of these houses. I won't tell you here...you'll have to go to Charleston and enjoy for yourself. 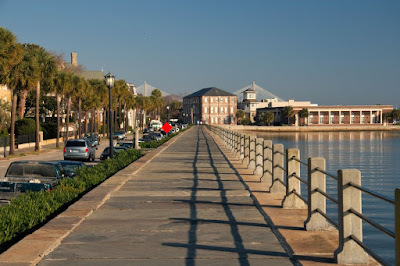 The Battery is located at the end of Charleston peninsula. From there you can see Ft. Sumter and Sullivan Island Lighthouse. It's a popular wedding location because of the gorgeous trees, gazebos and area around it. There's a lot of history to The Battery too, but again I'll leave it to you to go visit & take a tour-learn it from them because there just isn't enough space here to give you all the historic points. The Old Exchange Building hosts tours complete with a dungeon underneath that was used in the Civil War. It was built in the early 1700's. In the tour of the dungeon there's a place you can actually see the water in the building since it's below sea level. Again, lots of history to this so when you visit (notice I say when and not if), take the tour! Old City Market on Market Street was donated to the city back in the 1800's to be used as a market place. Originally you could find meat, food items, fish, produce for sale there...now you can find vendors there selling an array of products from local food & candy to souvenirs and touristy knick knacks. You'll also find the locals weaving and selling their sweet grass baskets there too. FYI on the basket weavers, if you visit and feel the urge to take their picture ASK FIRST! Many do not believe in having their photograph taken so extend that courtesy to them and ask for permission first. My favorite though I think is the Nathaniel Russel House. You are not permitted to take photographs inside the home but, I'll say this...you have to go inside this home! The architecture is amazing. There's a free flying staircase that will take your breath away along with the elaborate geometrically shaped rooms and interior design. 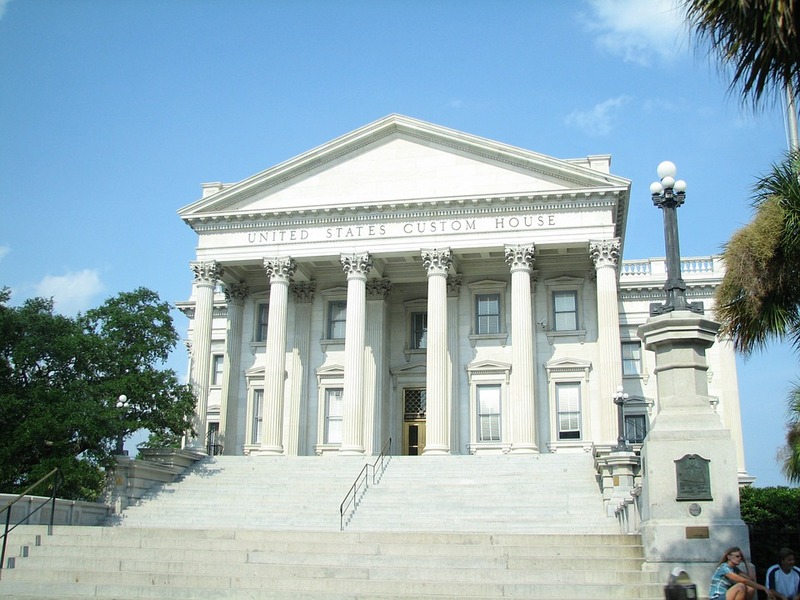 You can also take a free tour of the The Postal History Museum (built in 1896) located on the corner of Meeting & Broad Street (also known as the "Four Corners of Law"). The Postal History Museum offers visitors a look back into postal history. The museum is open during the regularly scheduled post office hours (yes, it's still operating as a post office). 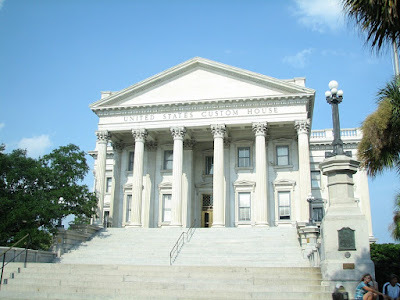 There is just so much to tell about Historic Charleston, SC (not to mention the surrounding areas) that I can't possibly fit it all into one guest blog spot. I haven't even touched on restaurants (which are many!) or the art galleries (which also are many). So, my advice...go visit and experience it yourself and discover why it's one of my favorite places! Perhaps one day, I'll be blogging from there instead of about there! This post was written by Guest Blogger, Tara Burner. Tara is an Author & Certified Inspiration & Health Coach who enjoys traveling as well!